A great day and an early morning start we hit the 9am tour at Hearst Castle. 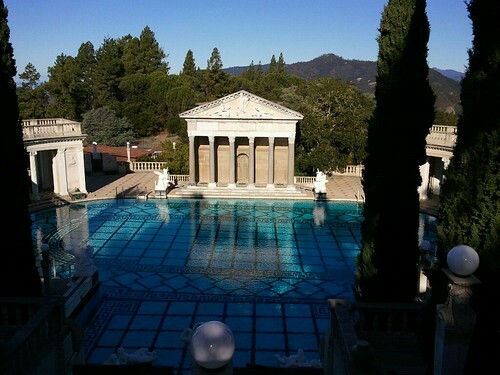 The amount of money William Randolph Hearst must of had to get this place built is staggering. Even in this day and age getting the equipment and materials up the hill alone would be an achievement. Pay it a visit worth the time, I'd go back again. Left San Simeon just after midday and made our way up highway one toward Monterey. Definitely not the fast track but definitely the scenic one, a great drive with great views. We stopped in at Carmel to say hi Clint before talking the 17 mile drive via Pebble Beach round the coast till we finally ended up at our destination on Cannery Row.